Voyageurs’ Cookhouse is not only a great place to have an incredible meal but also some of the best homemade desserts along Lake Superior! As you finish to your delicious meal, try one of our famous apple or blueberry crisps, and our specialty voyageurs’ coffee. Our desserts are baked fresh daily on the premises, and these homemade treats don’t stay in our dessert cooler for long, so come and get ‘em. 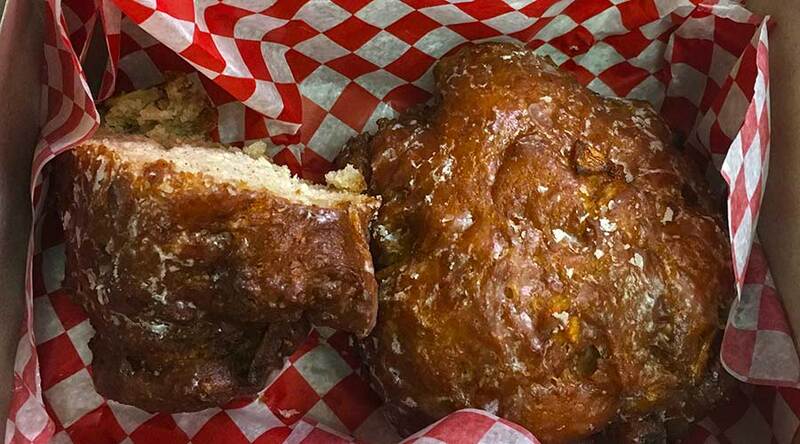 We also have available delicious apple fritters that are perfect for an after meal treat.